An aerial view of the so called Astronaut at the Nasca Lines. 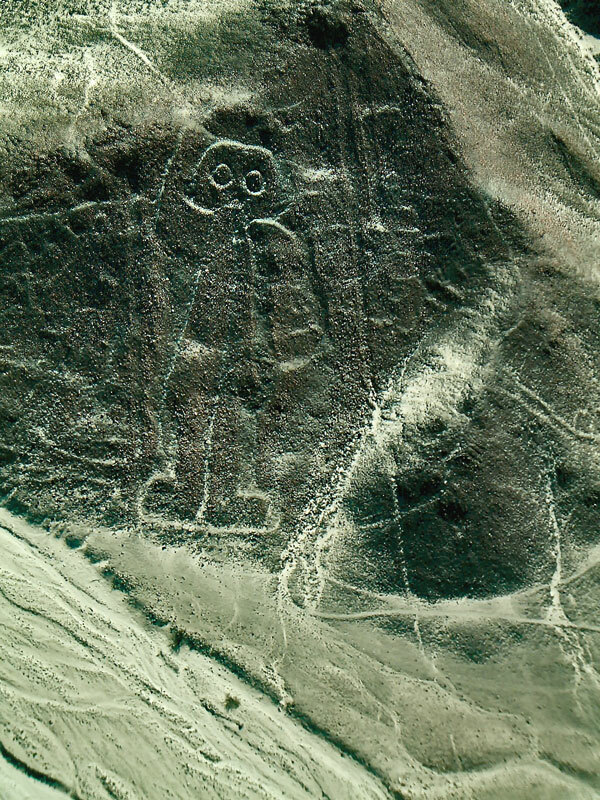 This is probably the most bizarre of all the Nasca images, for certainly depicts an alien image (but not necessarily extra terrestrial one!). As if 500m long images of local fauna wasn’t remarkable enough, the 5th century Nasca people also designed a figure of “unknown origin”.